I got this idea off Pinterest and it’s one that worked! Sawyer was excited to sweep and get all the gunk into the box. He swept the entire floors, even under the dining room table. Why didn’t I think of this years ago?!? I did it, too. 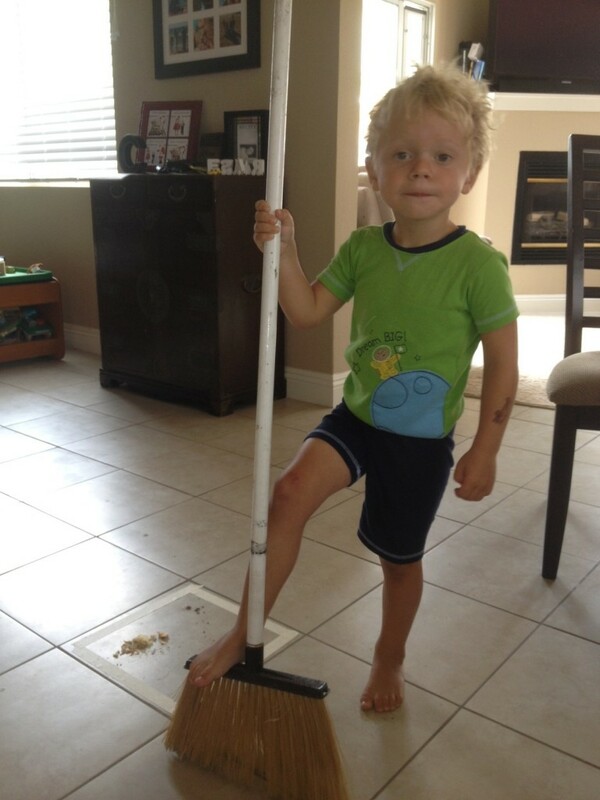 My four year old can now help sweep the floor!